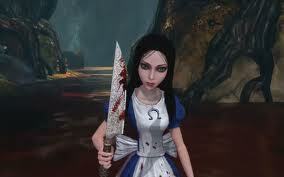 Alice Madness Returns. . Wallpaper and background images in the 비디오 게임 club tagged: game cover video game alice madness returns hysteria mode alice madness returns in wonderland. This 비디오 게임 photo might contain surcoat, 외투, 소매 없는 느슨한 상의, and 휘장.